This is Structure 5D-65 is known as Maler’s Palace as it was the building that Teobert Maler lived in whilst investigating the site in 1895 and 1904. The Palace is located on the south side of Court 2 in the Central Acropolis which lies a few metres south of the Main Plaza and Templo 1. 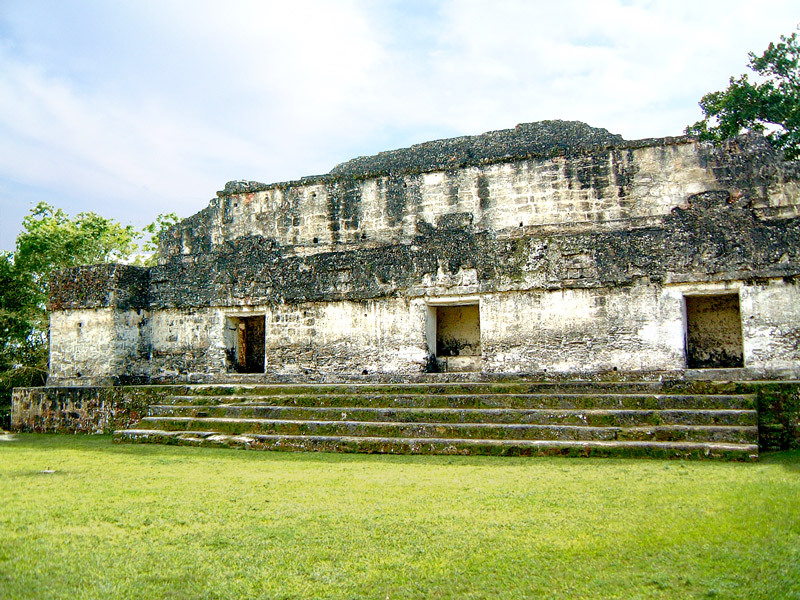 It was actually the Palace of Yax Nuun Ayiin II who ascended to the throne in 768AD.